Jim Gach brings the experience of a thousand lifetimes to the craft of song writing. His work as a counselor for the past 25 years has provided a rich vein of true-life material to draw on for his songs. 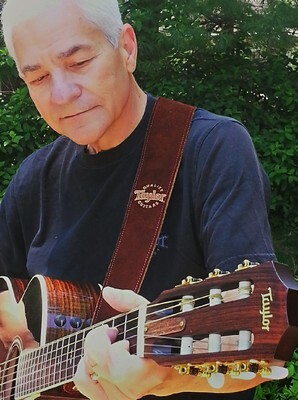 Jim has played guitar since his teen years but only recently began putting his ideas into song. His early musical influence is drawn from a diverse group: Elvis, Johnny Cash, The Beatles, The Moody Blues, Willie Nelson, The Eagles, Arlo Guthrie, Bob Dylan, Donovan and John Prine.